Visual identity and print design for OddOneOut, an Etsy store specialising in printable artwork. We created a logo and visual identity for OddOneOut, an Etsy store specialising in colourful printable artwork. The linear logo features a diamond, square and circle overlapping each other to reflect the store's geometric design sensibilities. 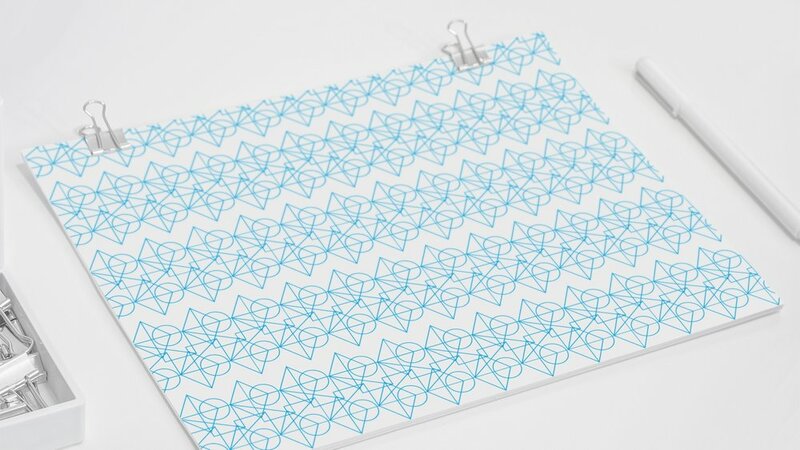 These shapes have also been extrapolated to form repeat patterns for collateral such as business cards and letterheads. A eye-catching palette of cyan, yellow and black (from the CMYK colours) was also chosen to emphasise the print quality of its artwork. Need brand design for your new business?